I recently learned that the funding to California’s state parks has been dramatically cut. On May 13,2011 California Department of Parks and Recreation released a news brief on the State Park Announcing Closures. The department chose parks which they believed were providing diversity of experiences by visitors. This qualification is going to be different for everyone. You stated “Closing state parks is not a task that gives anyone joy, but we are experiencing turbulent times that necessitate deep – almost unthinkable – cuts to public services. I will work hard in the coming weeks to reach an agreement that will allow us to avoid deeper and more disruptive reductions.” That statement was made in May, it is now December and I haven’t heard of any additional funding from the state to keep State Parks Open. I know you, like the other citizens, value the natural beauty we have and how much it benefits our state. As you know John Muir contributed greatly to protecting and preserving nature around the United States. He organized and founded the Sierra Club in 1892. While traveling around the United States he was enthralled by California’s Natural beauty. 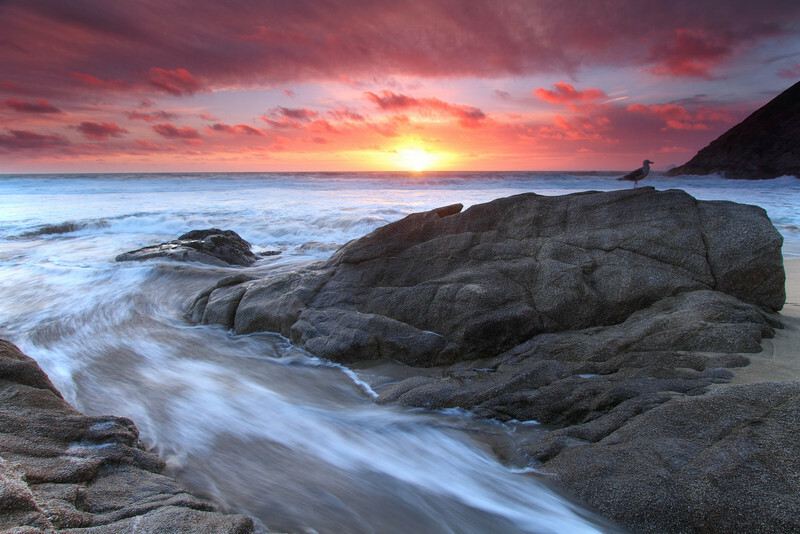 State Parks were created to preserve the beauty of California’s nature. In addition the environment has been preserved in these parks. State Parks protect natural resources as well as provide a safe environment for the wildlife who inhabits them. Biodiversity in plants and animals are protected in these state parks. Citizens all over the state of California, including me, think it is unfair to cut funding to 70 state parks. Parks are such a huge part of our history, as well as one of our most precious resources. Many of these parks contain bodies of water, or rivers as well as a vast amount of fauna and flora. I love being able to access the California State Parks as a place where I can experience nature in a pure form. I am frustrated that parks will be closed permanently. 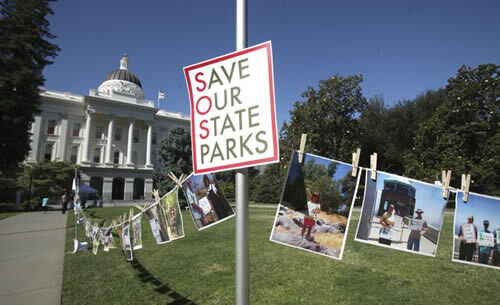 Save Our State Parks is a campaign to save California State Parks. You have announced the permanent closure of 70 state parks. California Parks are a huge part of tourism and it’s estimated that for every $1 invested the state park system returns $2.35 in the form of economic activity in the local economies. Many local businesses; tourist industries such as hotels, bed-and-breakfasts, restaurants, retail shops, tour operations will be negatively affected. They will no longer have the activity they are dependent on. With such a devastated economy many families turn to California State Parks as a vacation alternative. It is economically more efficient as well as less damaging to the environment then flying across the country. In addition the closing of the state parks will take jobs away from employs who work there. The parks were created so that every citizen could enjoy the beauty and activities parks provided. Parks Protect many of the valuable environmental resources and with closures these will not be protected. I grew up in the Bay Area, where there a significant number of California State Parks. My childhood was filled with trips to them. One in particular, Mount Diablo State Park, is of significant value to me. Every year my family goes up to the top, where there is a beautiful lookout, and have a picnic. Our family hikes the trails and has created so many happy memories there. The East Bay community values Mount Diablo as a place of beauty and nature. Every day residents residing in the vicinity looks up to the mountain, whose peaks are seen all throughout the area. Every year on December 7 the aircraft beacon at the summit building is illuminated to memorialize Pearl Habor. Events like this create a sense of community throughout the East Bay . Girl Scouts as well as Boy Scouts utilize the mountain as a place to educate children on nature, camping, safety, and the importance of our environment. Nature is a huge part of the Girl Scouting and Boy scouting culture. Many various groups around the area take trips to hike around Mount. Diablo, examine the rock caves, view wildlife, and look at fossils. Walking through the various parks I find tranquility, peace, and beauty. I can’t imagine what life would be like if this valuable resource became unavailable for us all to enjoy. As Stephen Mather points out, the parks are not just one state, they belong to everyone in our nation. Not only are we punishing California residents by closing state parks, we are additionally punishing the whole nation, and essentially the whole world of being able to experience these parks. Tourists from all over the world visit state parks. I am not sure if you are unaware, but it is very difficult to close a park. There is no way to keep people from entering into the park. Without park rangers or officials managing the park they could be damaged significantly. The environment can be negatively impacted by trespassers. Closed parks can become camps for the homeless, whom, though unintended may trash and ruin the delicate nature of our precious parks. In addition negligent people can be negligent and pollute our former parks. Fires in these areas could be increased, eventually leading to a huge amount of public funds being spent to contain them. Hundreds of people go to the parks that have been scheduled to permanently close. What gives the government a right to keep them out of what is supposed to be public property? Many people argue that because the parks are here for the citizens anyone should be able to go into them, closed or not. Here is a website with the parks scheduled to close along with an interactive map. The National Park Service announced it would step in to operate Tomales Bay State Park, Samuel P. Taylor State Park, and Del Norte Coast Redwoods State Park. It is obvious that they consider State Parks valuable. I find it embarrassing that we need them to step in and save our parks. The unfortunate thing is that they will not be able to save all of them. The National Government, like California, has a huge debt, but they still help to save important resources that can never be replaced. During the Great Depression the National and State Parks received more funding and built new roads and facilities. So what I don’t understand is what has changed? Does the Government just decide that profit is more important then preservation of nature? Because I feel with all the public objection to these closures not enough is being done. As I am sure you have heard, the community around Mono Lake Tufa State Natural Reserve protested the closure of their beloved park, in order to save it they will pay a new fee to enter the park. While I am glad one less park will be closed who decides what park is more worthy then the next to stay open? Every park has a group of people who values that park and wants it to remain open. I am deeply pleased you passed AB 42, giving some or the 70 state parks that are going to close a chance to stay open. Having a state park operated by a nonprofit organization will be beneficial, in that it will keep a small number of these parks open. Even with this Bill being passed many parks are still in danger of closing permanently. Although I think this is fantastic in saving some of our parks, I wonder what has happened to our focus. 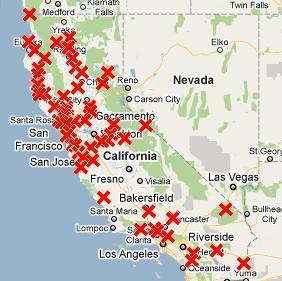 With the continued expansion of California’s debt will you eventually turn to closing all California State Parks? Or will they all start being sponsored by non-profits? Will they eventually turn into being privately run? I sure hope that California’s State Parks will be funded by the public and not by private entities. Other communities, such as Marin are striving to keep their state parks open. Marin Community Foundation President, Thomas Peters stated that “Overall, the sentiment of this group is that these are new times, with the need to develop new models and approaches for keeping parks open, not only here in Marin, but statewide.” He knows that the communities that live around state parks want desperately to keep them open, to these communities these parks are a part of their culture, their history, and they want to continue to have it in the future. 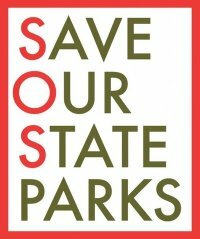 I’m sure you have seen the various organizations and groups that want our State Parks to stay open. Folks4Parks is an online blog that has advocated to stop these closures. The blog is all about advocacy and there are interviews with various people throughout California about what state parks mean to them. In the video below it is shown what the effects are when a park is closed. I am hoping that you will be able to support the citizens of California and contribute to reopening state parks that have closed. I know some parks are more popular than others maybe, to save all parks you could propose an increase in entry fees for the most popular sites. This would allow other not as popular parks to remain open. Although there might be a slight loss in visitors, it would be so minute that keeping all parks open would be more beneficial to everyone. I entreat you as a representative, elected by the people, to support our interests and keep California State Parks open!